#NHLAH5771CHI Don’t let the cold weather suppress your ferocious loyalty. Show your team dedication proudly in the winter months with this Pom Knit hat! 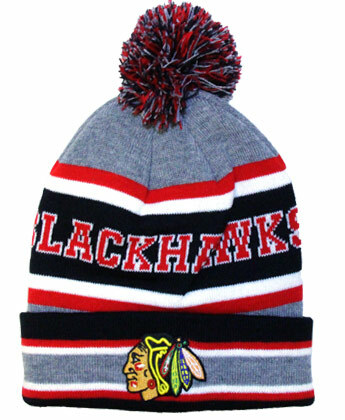 Its knit fabric will keep you warm while you’re chanting with your fellow fans at the game!